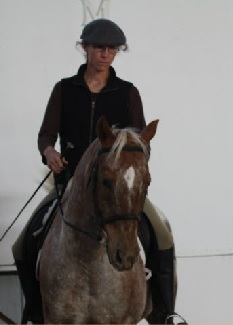 My riding is inspired by French classical riding and teaching methods. I began teaching in France when I was 16, and training at age 18. My experiences include eventing, working with vaulting and classical dressage horses at a major French horse circus, and extensive teaching of children and adults. 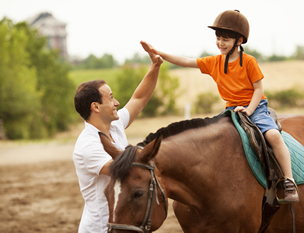 I believe that classical riding refers especially to the end result more than the training techniques used. This should result in a horse that is easy to ride and light on the aids, while gorgeous and exuberant at the same time, as well as a rider that looks at ease and sits each gait beautifully. Those are my goals, both in training the horses and teaching the students. Please contact Dakota Stables for pricing, availability & scheduling.